Yesterday in Paris, the Lancôme makeup team unveiled their latest fall 2009 color collection, Declaring Indigo. Created by Lancôme artistic director for makeup, Aaron De Mey, this collection celebrates Paris in all its vibrancy. Aaron chose shades that represent the glamour, the energy and the passion of Paris—indigo blue, bright red and luxurious gold. Some of you may know that the key shades debuted during fall 2009 New York Fashion Week. At Chris Benz, all three Le Vernis nail colors were showcased: Golden Audacity, Indigo Paris and Rouge Liberty. Lancôme spokesmodel Daria Werbowy is the face of the collection. She was photographed by Mario Sorrenti for the ad, here’s a peek of the behind the scenes shoot- she’s looking fab! 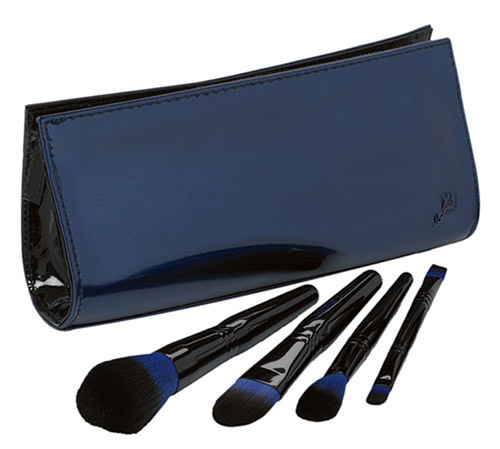 The Declaring Indigo Collection is scheduled to release starting in August 2009, but Nordstrom has a limited-edition Declaring Indigo brush-and-makeup bag set ($52) available for pre-order now. 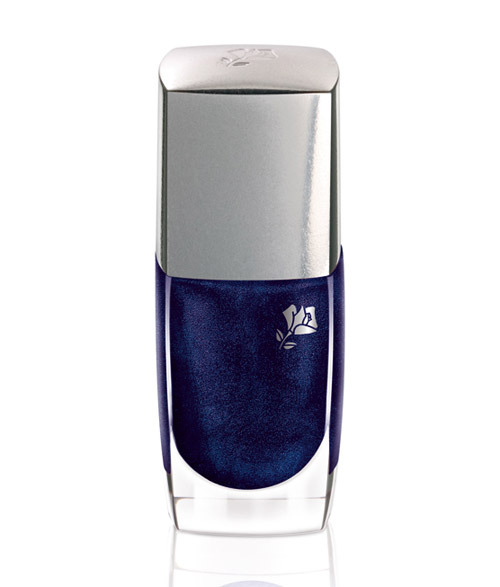 Loving Daria’s look, definitely can’t wait till the Le Vernis nail colors release- the Indigo Paris is looking nice! Mineral Powder Foundation Brush: Lancôme’s most velvety brush is pure bliss to the touch. 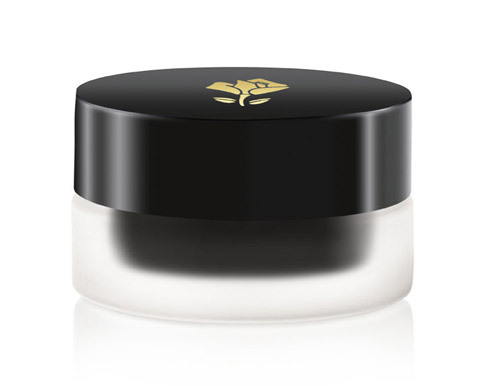 Powder effortlessly fuses with skin for buildable coverage. Foundation Brush #2: The precision-crafted tool ensures virtually flawless application of liquid foundation for a picture-perfect finish every time. Blender Brush #4: The ideal blending partner to all Lancôme face and blush powders or eyeshadows for an even-toned, flawless finish. Dual-Ended Brush (Lining and Shadow) #18: Ideal for all Lancôme eyeshadows. The flat, fine-edge brush gives a sharp eye-lining result. The shadow brush offers a flawless, professional look. Makeup brush case: The perfect way to carry and protect your Lancôme brushes. A $124 value.